Ardell's Magnetic Lashes are here to change your eye makeup game. The pre-curved band makes application easier due to the natural lid contour shape of the lash. The magnets on the top lash easily lock with magnets on the bottom lash. Lashes stay put until you're ready to remove them. Made out of 100% natural sterilized human hair it gives you a truly natural look. These are easy to use and need no glue or adhesives. They are budge proof, safe and reusable. About the Brand: Arnold and Sydell Miller founded what is now one of the world's best selling faux lash brands. The original Ardell lashes, Duralash Individuals, were created to add realistic, volume and length to lashes, enhancing but not overpowering natural beauty. faux lashes by catering not just to women looking to enhance their own beauty, but also to legions of beauty professionals and Hollywood makeup artists. 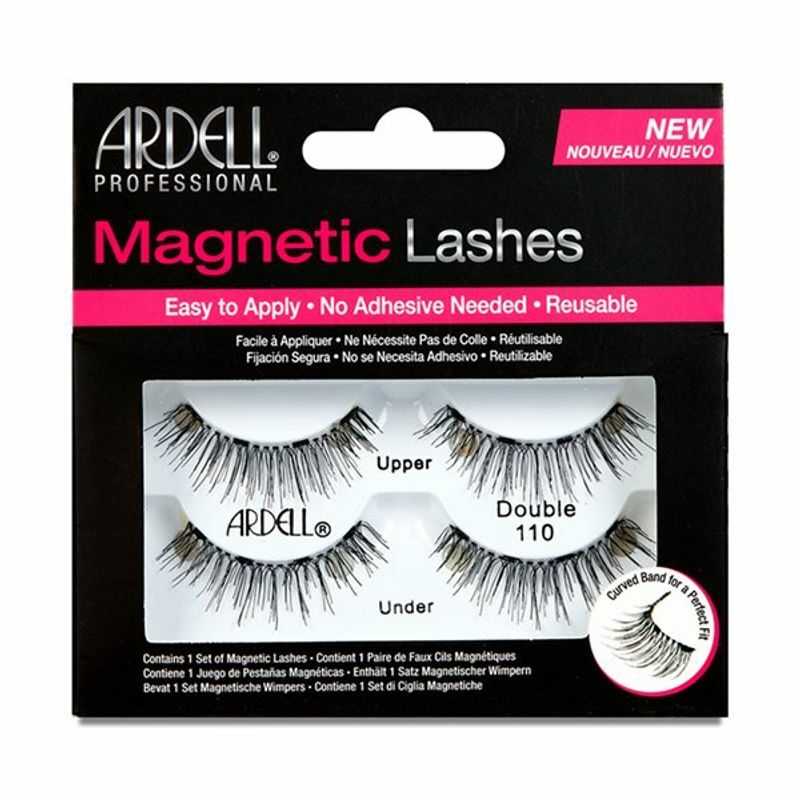 The comfort and affordability of Ardell lashes makes them a small luxury that elevates beauty to another level.